Affiliate marketing is a booming industry, and practically every possible niche has a program to choose from. Many of these programs want you to believe that all is required to make money in affiliate marketing is to stick a banner on your site and the bucks will roll in. Although this may have been the case for some, and in the early years of affiliate marketing, now savvy affiliate marketers know that there are proven marketing tactics that should be utilized before seeing success. Adding affiliate banners to your website. Most programs provide marketers with a variety of banners to use on websites and blogs. Keep in mind however, that very few of these graphics will prove effective. If you choose to use affiliate marketing banners on your site, remember to select banners or buttons that will not degrade the appearance of your website, or annoy your visitors. Graphics should complement your site, and even though banner ads are intended to stand out and catch visitor’s eyes, they shouldn’t be so flashy that everything else on the page is completely ignored. Using pop ups and unders. A lot of companies will now give their affiliates the choice of using pop up or pop under ads on their sites. Most people will agree that using pop ups as an advertising method is not the best way to go. They can easily aggravate visitors and are usually closed before they fully load on the page anyway. If you opt for using this type of advertising method, then go for pop unders and those types that only display once per visit rather than pop ups. Most people nowadays have popup blockers installed on their computers, so your ad most likely will not even be seen. Text link ads are a successful advertising method. 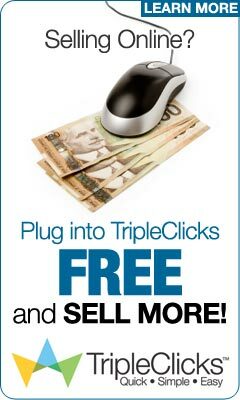 Choosing text link ads to use in your affiliate marketing advertising is by far one of the best ways to go. They are easy on bandwidth, don’t use a lot of space, and are easily implemented into most types of page layouts. Good text links offer some information as to why your visitor should investigate your offers. You should always include in the wording of your link some action that the visitor should take that also informs them of the benefits of the product or service. Email advertising still works. In previous decades, the most successful proven advertising method was direct sales via postal mail. Nowadays, direct mail via email is proving once again to be one of the best ways for affiliate marketers to reach their target market and achieve success. Although creating an influx of spam, there are now rules and laws in place that tell marketers what they can and cannot do in relation to email marketing, and as long as these laws are followed, email marketing is a great way to make repeat sales and build a customer base. If you plan to use email as a method of advertising your products, you should stand behind what you sell and always be available to answer any questions. Just as with any business, affiliate marketing advertising takes time, patience and tracking. Regardless of what method you use, give the marketing some time before opting to change. Do not put all of your advertising money or plans into one basket or form as well. Use several types of marketing and expand upon what is working well for you. Success in affiliate marketing does not come overnight, but with careful planning and marketing, you can build passive wealth or supplement your current income.